There are many tea terms out there, so many that James Norwood Pratt put them into a Tea Dictionary. I have found that some of these terms are related specifically to pu-erh tea, a sort of language all its own and full of interchange-ables that vary from one speaker to another. One term we’ve covered already is “máochá” which was addressed here. But there are more. Each of these is used interchangeably by pu-erh aficionados. But are they really synonymous? “Raw” is a literal translation of “sheng,” which when used as an adjective, means “not cooked,” “alive,” or even “not ripened.” Raw Pu-erh will spontaneously and gradually undergo post-fermentation and oxidization. Usually, 3 to 5 years is needed to achieve the right state for a first try. Storing longer will improve the taste further. “Sheng” was initially used in the term “shengcha” and referred to the dried tea leaves that had been prepped after harvest for further processing (steaming, compressing, post-fermentation, darkening, depending on the type of pu-erh being produced). 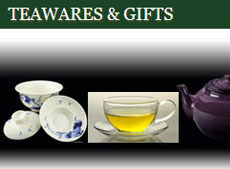 “Qing” is the term for a color that is sort of like green. That does not mean the same thing as a green tea, though. A “qing cha” can be matured, but a true green tea cannot and just deteriorates when stored for a long time. “Ripe” is a type of pu-erh invented in 1973-1974 by Kunming Tea Factory where the tea fermentation is speeded up and gets them to market sooner. “Cooked” is often used to describe ripe pu-erh since it goes through a process that speeds up fermentation. It’s basically a misnomer, though, since the tea is not heated to that extent. Some of these are used for other tea types, too. 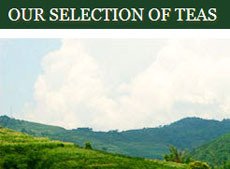 “Plantation Tea” is from tea gardens managed by people as a cash crop. The plants are typically pruned to a certain size for easier harvesting. The tea plants are propagated by cloning (cutting and grafting). “Wild Arbor Tea” is from “wild” (uncultivated) tea trees, some of which have been allowed to grow for hundreds of years. They are varietals of the Camellia Sinensis plant unique to Yunnan province. 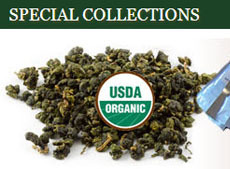 The amount of tea leaves harvested is limited, and the price is therefore higher. “Leaf Grade” is a system of ranking the leaves for pu-erh. They are sorted into grades 1 (smallest and youngest) through 10 (largest and oldest). This does not indicate leaf quality but just the physical description. “Bing Cha” is a “Round Cake Tea,” the most common form of compressed Pu-Erh and usually weighing about 357 grams, although more varieties are now being pressed. The tea leaves are piled on a cloth, wrapped tightly, and placed in a mold where they are pressed by a very heavy stone. “Tong” is a “bamboo tube,” but the term is usually used for a stack of seven bingchas wrapped in bamboo bark for shipment. “Tuo Cha” is a bowl-shaped or birdnest-shaped compressed tea, each typically weighing 100 or 250 grams but also available in other sizes and weights. “Zhuan Cha” is a “Brick Tea” where the leaves are pressed into a rectangular or square shape that usually weighing 250 grams. 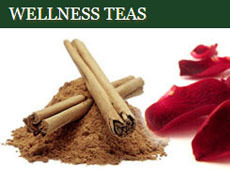 Most common for teas shipped to Tibet and other outlying regions. Now that you have an introduction to the language of pu-erh, here’s hoping you will be able to converse easily about your experiences with the varied and somewhat mysterious tea.